The numbers below were gathered from the Play Store over a 7-day period ending on September 28th. 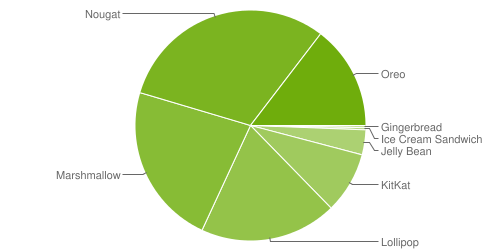 The perpetual trend of ongoing updates and upgrades continues to eat away market share from older Android versions. Curiously, this is actually the first time Android 7.1 has seen a loss that I can remember. For the last four months, it was on a slow but steady increase. The numbers for Oreo are also picking up tremendously, with a relatively huge 4.6% increase in the last month. Although it saw more significant gains in July, that was only because we didn't get updated numbers for two whole months. That brings the previous year's version of Android up to 19.2%, well ahead of Nougat's mere 15.8% this time last year. It's probably too early to thank Treble for this change, but the rate of device updates seems to be accelerating. That humorous bump in Android 2.3 Gingerbread's numbers is still hanging around. 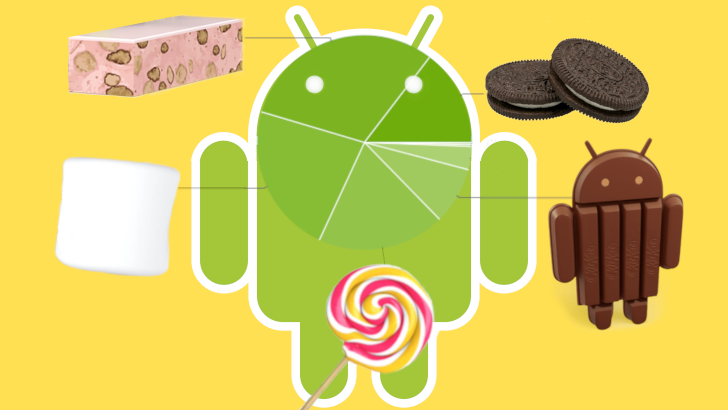 Lollipop and earlier fell a total of 2% combined in this month, which is also a slightly accelerated loss from August. And of course, the elephant in the room is the ongoing lack of Pie in Google's numbers. Only a handful of phones have been updated to the latest version, though the ranks of the updated now include the OnePlus 6. Maybe Pie will show up in time for Thanksgiving?